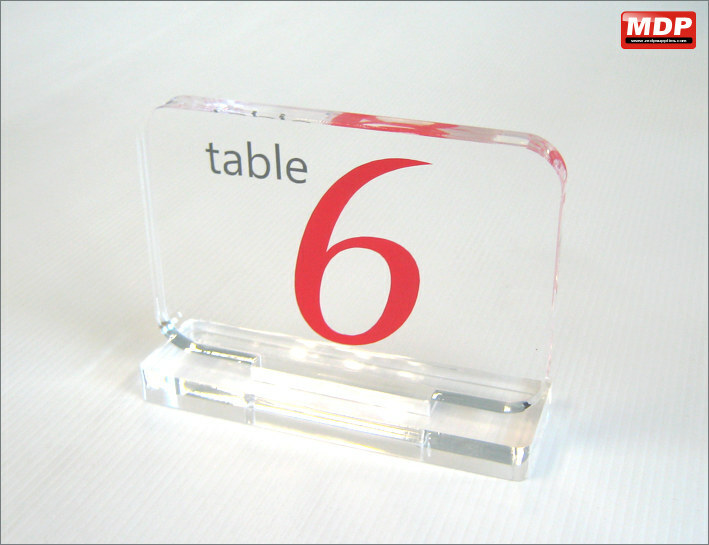 Create table top signage or awards with these quality 15mm thick clear acrylic displays. Supplied with base. 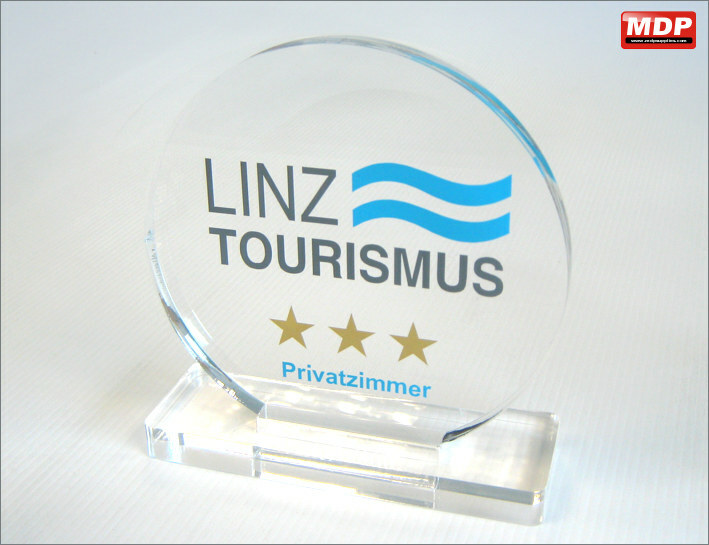 15mm clear acrylic display with 150mm diameter. Supplied with acrylic base. Price for 5 - 9 £5.79 ea. 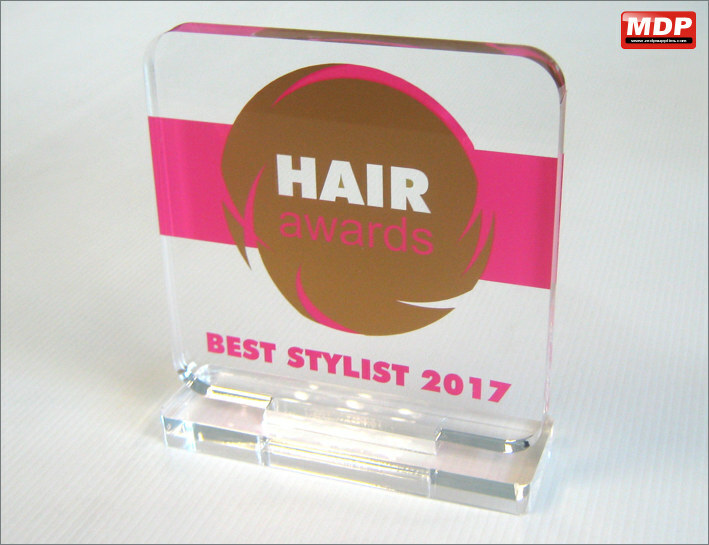 15mm clear acrylic display 150mm x 100mm. Supplied with acrylic base. 15mm clear acrylic display 150mm x 150mm. Supplied with acrylic base. 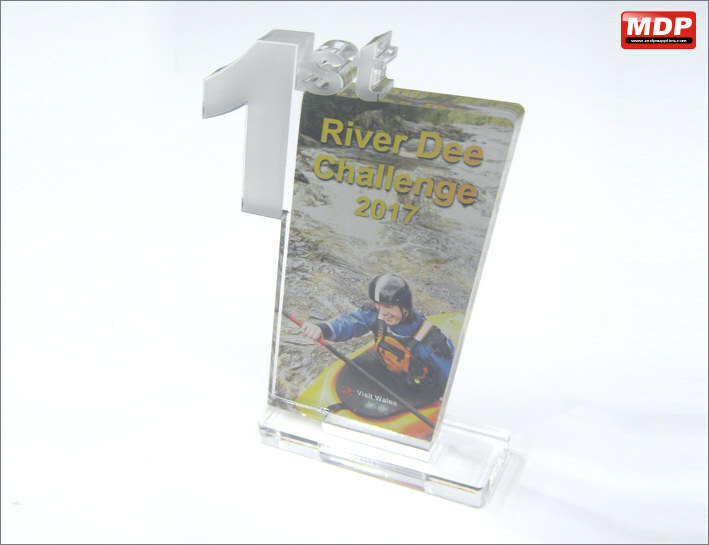 15mm clear acrylic trophy with profiled and etched 1st. Stands 225mm high. Supplied with acrylic base. Personalise with sign vinyl or use clear laser vinyl and white vinyl to give a full colour print. Price for 5 - 9 £9.79 ea. Price for 10+ £9.59 ea. 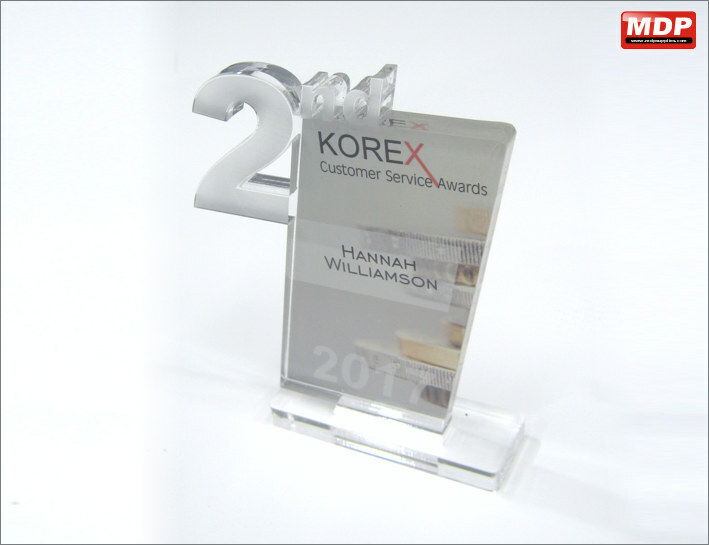 15mm clear acrylic trophy with profiled and etched 2nd. Stands 200mm high. Supplied with acrylic base. 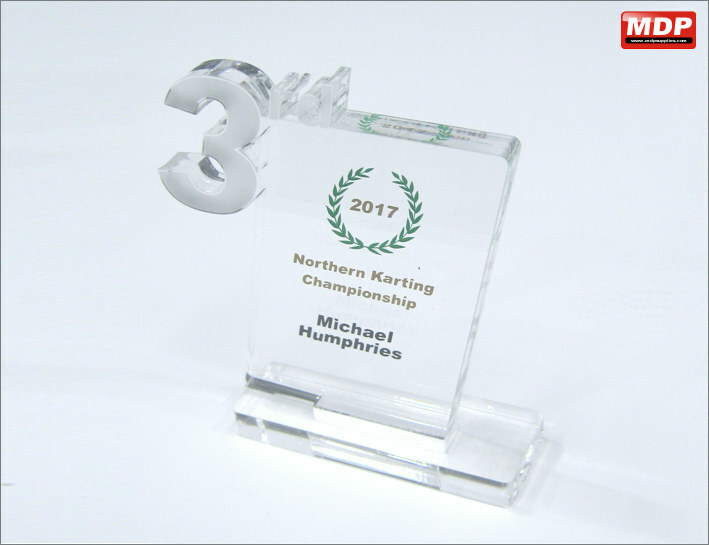 15mm clear acrylic trophy with profiled and etched 3rd. Stands 170mm high. Supplied with acrylic base.